I know already there are a bunch of apps that do the same task and it's not that hard does this manually too. However, this is my first app posted to the play store too. And it will be great to hear your opinion about my app. 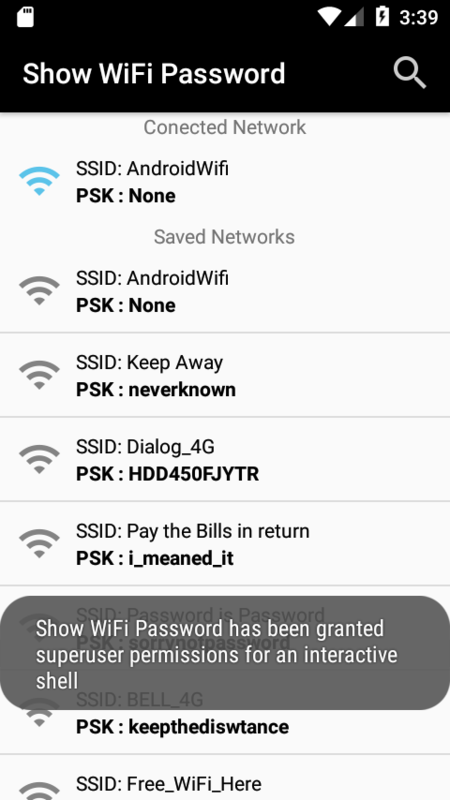 Most of the times Which I wanted to get the saved wifi passwords, I really wanted to know the password of currently connected networks password(For share with friends or Connect another device). However, I did not found any app which optionally shows the details of the currently connected network. So I added that that feature to this hoping it will save few seconds of your life searching for it.